Railmotors were not a GWR idea, nor were they first thought of in the 20th Century. Indeed railmotors had operated on what was to become part of the Great Western system as early as 1848 when the 'Fairfield' (pictured left), one of four similar vehicles designed by W. Bridges Adams, was used on the Bristol and Exeter Railway. At the beginning of the 20th century various experiments were made, notably by the Taff Vale Railway, with battery-electric and petrol-electric railcars. Indeed the GWR itself produced a diagram for a petrol-engined vehicle as early as 1903, but this design was never to get further than the drawing board. The heyday of the railmotor on the Great Western Railway then, began when a fleet of 99 steam-powered railmotors, of which our Railmotor No. 93 is one, was built between 1904 and 1908. These were gradually withdrawn between 1914 and 1935. with many of the earlier withdrawals being converted into auto-trailers for push-pull working with suitably fitted locomotives. Economical to operate and thus suitable for lightly used lines or for local trains on main lines. A lack of the flexibility to add additional vehicles to accommodate greater passenger numbers (the railmotors could haul one trailer or an ordinary coach, but their haulage capacity was very limited compared to even a small locomotive). 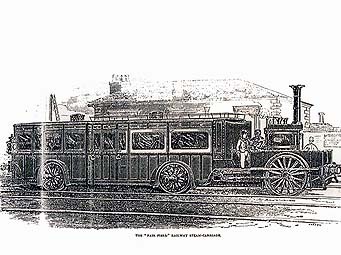 The coming of the steam railmotor enabled the Great Western Railway to provide cheaply additional services between normal passenger trains, and also to provide extra intermediate stopping places. This led to a huge increase in people's ability to undertake local travel and consequently to greatly increased traffic. 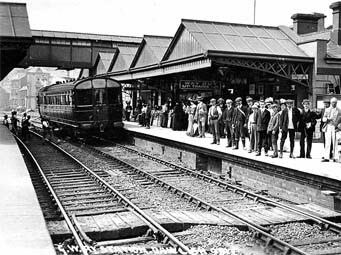 A report for the GWR Traffic Committee in January 1904 notes, for instance, that on the Chalford and Stonehouse Service “the carryings by the motor cars and the local passenger trains average 1,354 passengers per day and 474,000 per annum. Prior to the introduction of the cars the carryings were 194 per day and 68,000 per annum. This gives an increase of 597 per cent.” Remarkable changes indeed.